Today’s contribution is dedicated to one of my favorite pieces of clothing in these cold winter/spring days, the knitted pullover. Definitely a piece of clothing that can enhance your own outfit while still keeping warm. What more could you want? Before I present you today six, in my opinion, stylish knit sweaters, there is as always a little background knowledge. Pullover Is Not The Same! Because that does not hurt my opinion and it is always nice to be able to tell a little story about his clothes. This makes them a lot more interesting and you also have the opportunity to shine a bit with his knowledge in such conversation topics. 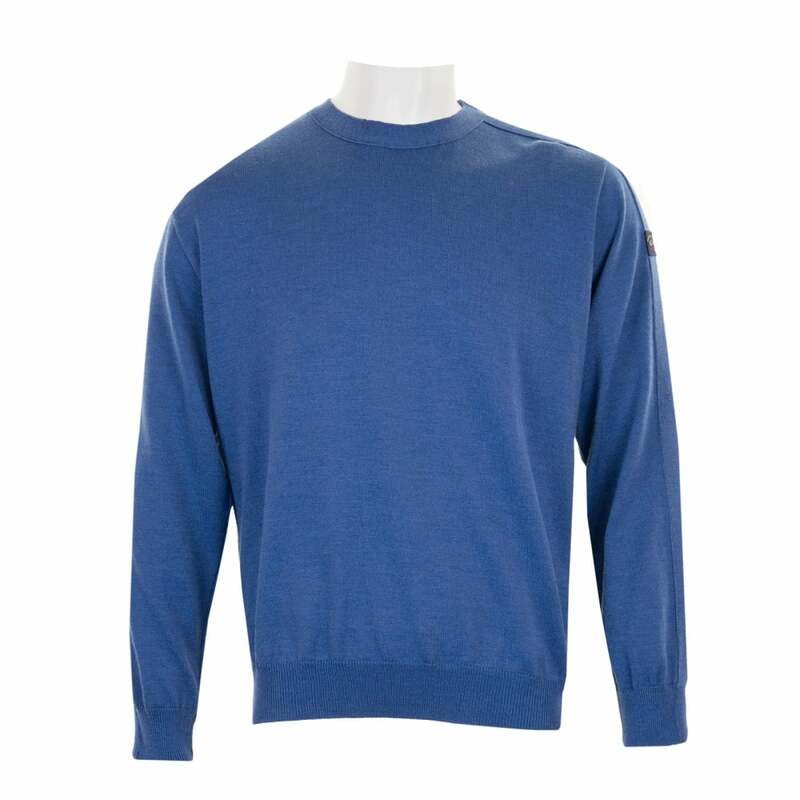 The classic sweater, from the English pullover, nowadays also often called Pulli is the common term for a knitted or differently made garment, which is for the upper body and comes with long sleeves therefore. Usually, it has to be pulled over the head for tightening. An outdated name for the sweater is jumper. Anzumerken is that today in the everyday language habit usually only knit sweaters are still called sweaters. 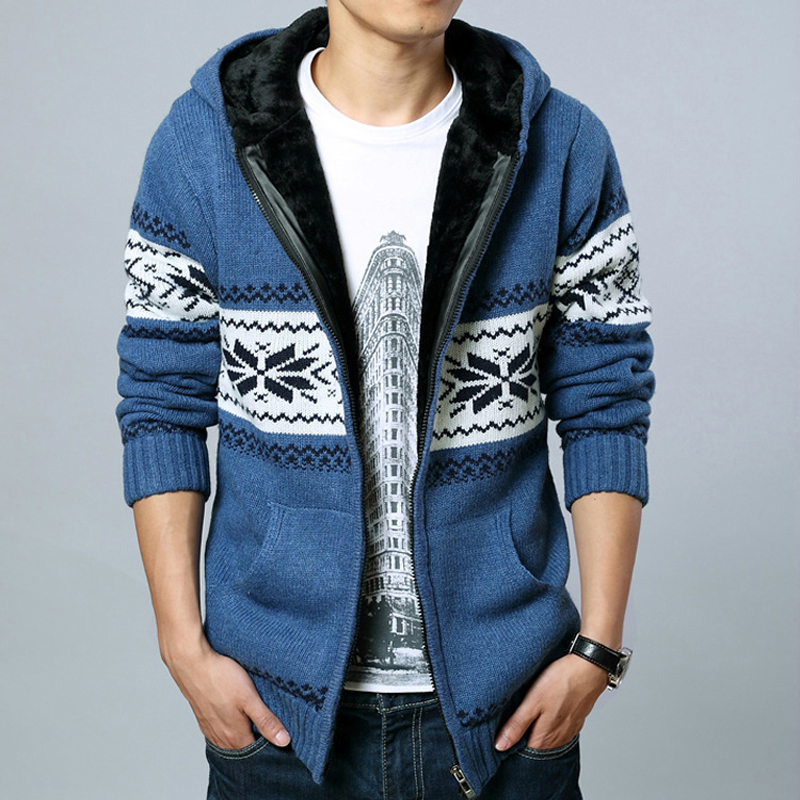 Similar to the sweater, sweatshirts are called from a fine knitted sweatshirt. Therefore, one can almost assume, when one speaks of sweaters, which are meant knitting sweaters. But sweaters are of course not the same sweater. 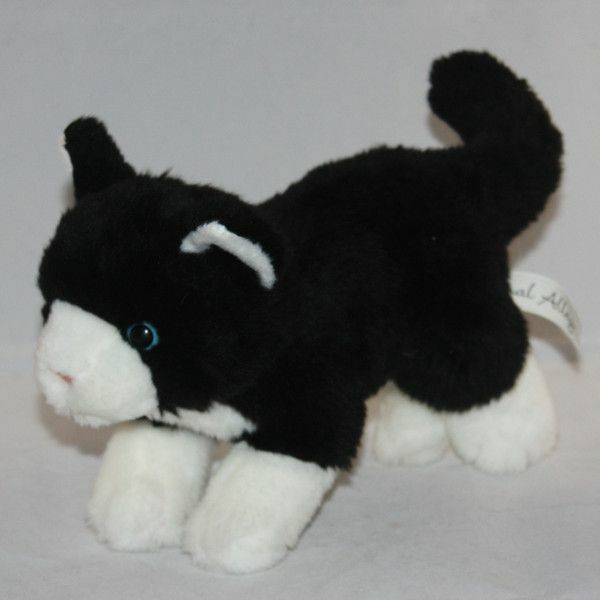 They are made from a variety of textile fibers, such as wool, wool, wool, silk or cotton. Often, synthetic fibers such as polyacrylic are also added to improve the shape stability of the garment.Furthermore, some sweaters made of wind- and water-impermeable materials are made by integrated membranes and are worn even over the entire outerwear. Known knit sweater types are the Iceland sweater or the Norwegian sweater, which in everyday life are often equated with one another, but still differ from each other. Therefore, I will go a little closer to the following in order to remove this misunderstanding once and for all. The Iceland sweater, or Lopapeysa as it is in Icelandic, is a very coarse knitted sweater, mostly made of sheep wool. Its origin is in Scandinavia. 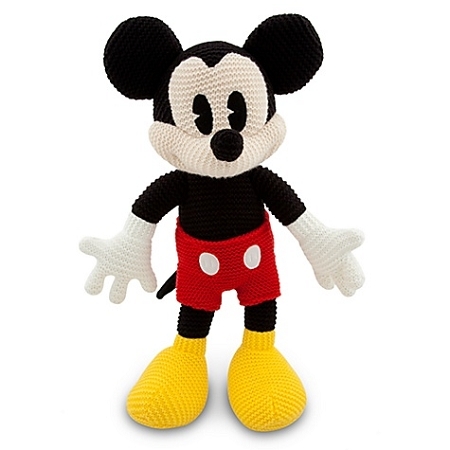 As already indicated, he is also fondly referred to as a Norwegian sweater, although the Norwegian is different in style and pattern. But you will find this out even if you continue diligently. But first of all, back to Iceland sweaters and stylistically similar sweaters. These have a long tradition in Iceland, the Faroe Islands and the Shetland Islands. A typical feature of this is the multicolored round neck around the neck and shoulders. The tradition of this piece of clothing originated at the beginning of the 20th century when attempts were made with thicker wool. The first article with these experiments appeared in 1923 in a well-known handwork book in Iceland, the rest is history. Due to the thick, coarse wool used, the Iceland sweater is an almost ideal piece of clothing for the winter. Since it is very warm and still looks stylish. Nowadays you can see the Icelandic sweater also in the style of a cardigan, which is manufactured with a continuous zipper. Norwegian sweaters or Norwegians, as they are also called, are also knit sweaters. These are made according to a certain Norwegian style, usually with several multi-colored patterns. The tradition of Norwegian knitting patterns from Setesdal in southern Norway dates back to the middle of the 19th century. The biggest difference to the Iceland sweater can be found in the raw material used. Unlike the Iceland sweater, the Norwegians do not rely on coarse, thick sheep wool, but on a very thin, fine yarn.This must be used to make the fine-grained patterns very effective.A particularly typical pattern of the Norwegians is the self-drilling, an eight-pointed star. 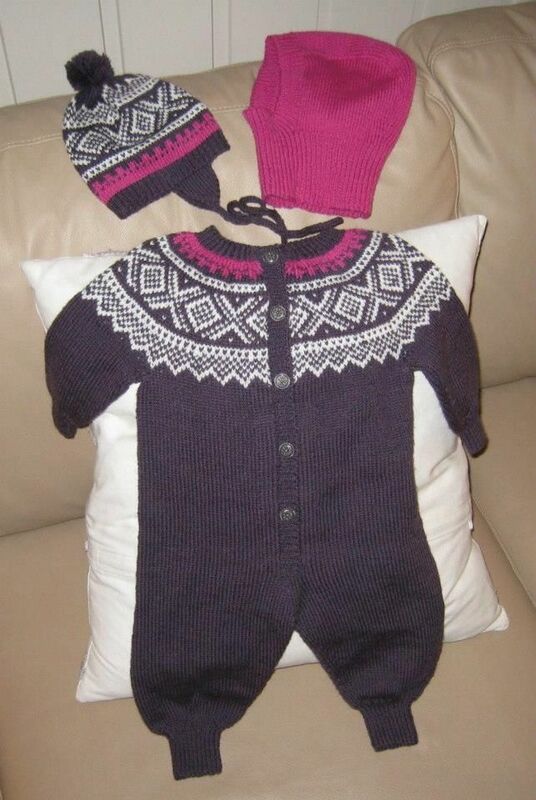 At the beginning of the development of the Norwegian sweaters, the patterns were usually two-color black and white, but red was soon added as a third color. Nowadays they are no longer limited to these three colors. On the contrary, Norwegian sweaters are made in many different colors, but rarely with more than three different colors in a sweater. Patterns with reindeer and other figurative representations are modern and are not in the tradition of the Norwegian Lusekofte. What I would rather call Galileo party knowledge is the fact that in earlier times the wife threw the seaman or fisherman as a lucky charm into her sweater. In Ireland and Guernsey, sweaters were provided with the initials of the men, so that they could be more easily identified in a shipwreck when they were washed ashore.Surely information, which not everyone knows, I was at least not known. As I said at the beginning of the article, I thought that I would give you not only facts and historical information about knitting sweaters. 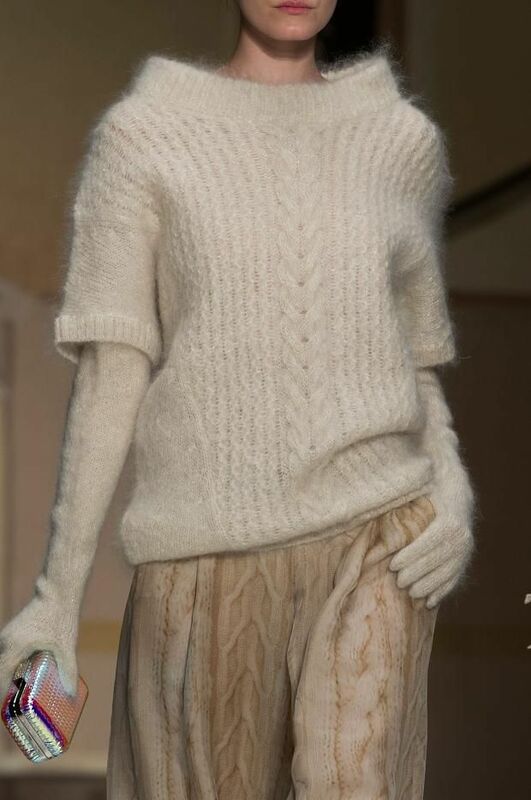 Instead, they can be further embellished with matching, modern versions of the knitted sweater. For this reason you will find below, a selection of six sweaters, which I liked quite well. 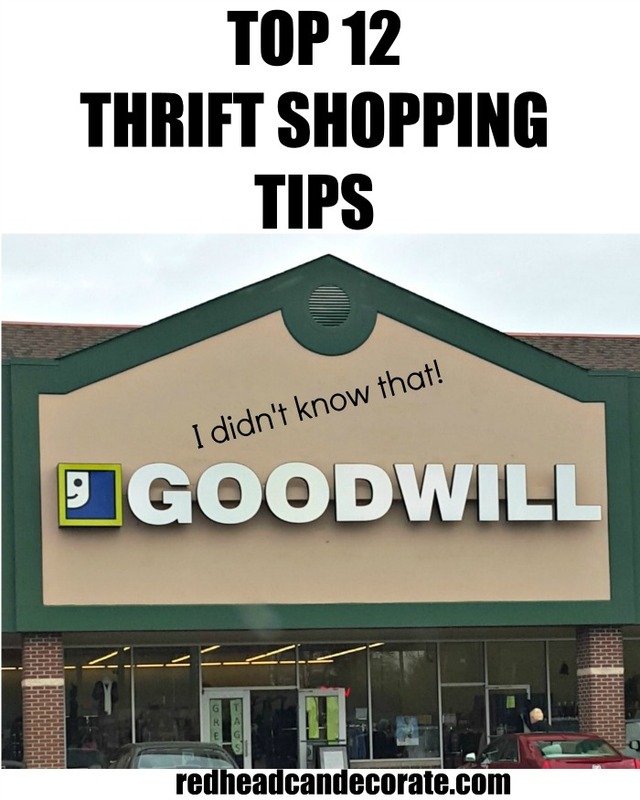 As always, I am of course also happy about your opinion about the clothes in the comments. If you have discovered more chic knit sweaters, you can also share them with us. Now, however, the sequence is purely random. The knit sweater from BALANDI, which is not made from pure wool, was made from 40% wool, 20% polyamide, 20% polyacryl and 20% elite. 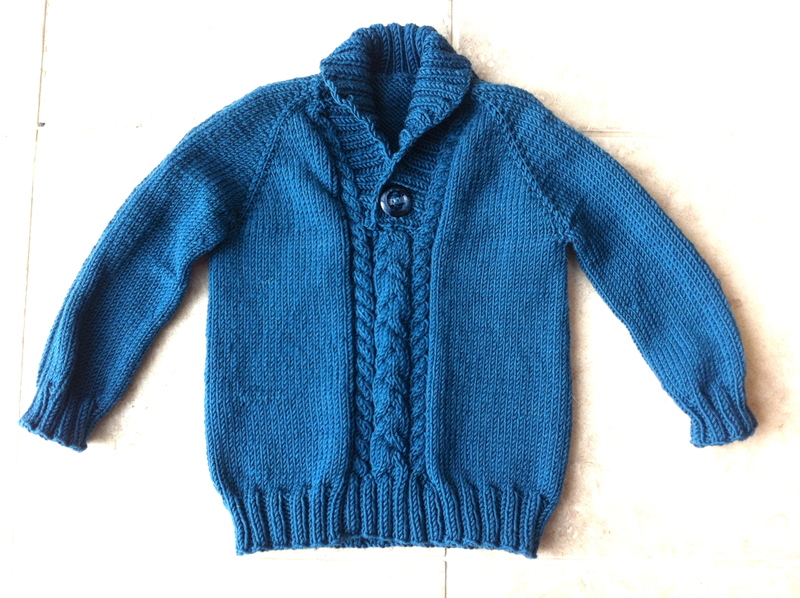 It does not come as a classic sweater because of the style, but carries a high collar, which is further enhanced by six buttons-three on each side. In my opinion, the sweater is a real eye-catcher. But also the reviews of previous customers read very well. This makes it clear that the sweater is not only good looking but also fabulous. You do not feel scabby, but it is super soft and keeps you warm. 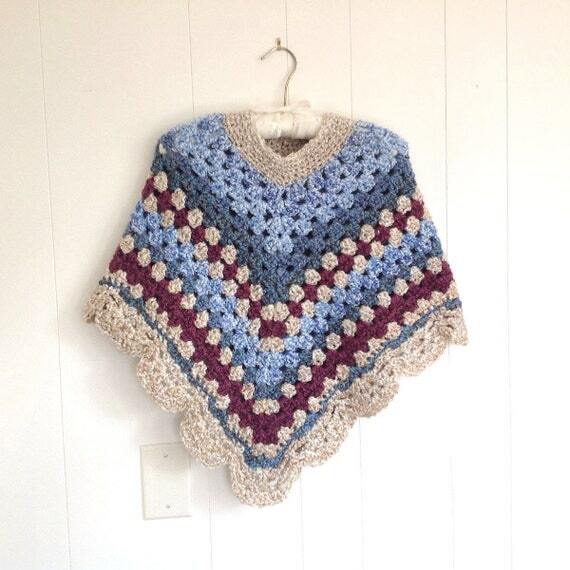 Perfect for the cold season. Anzumerken is however also, that the sweater is small, which suggests the designation waisted the manufacturer already, therefore, prefer to first order a number larger than usual. In addition to the color of the sweater, I also convinced the processing and intermingling of the different knitting styles. In my opinion definitely a knit sweater, which is convincing as well as of the quality. You can find more information about this here. The next knit sweater already corresponds more to the image, which one from a classic sweater has. At least this is the case with me. This is an ESPRIT men’s sweater with round neckline. Unlike the Balandi sweater, it is made of 100% cotton. Also the cut with this is not waisted, but normal cut. The Esprit knit sweater is available in three colors, in a light as well as dark gray, as well as a bright blue, which I like best. Although it was the dark gray version of the sweater. 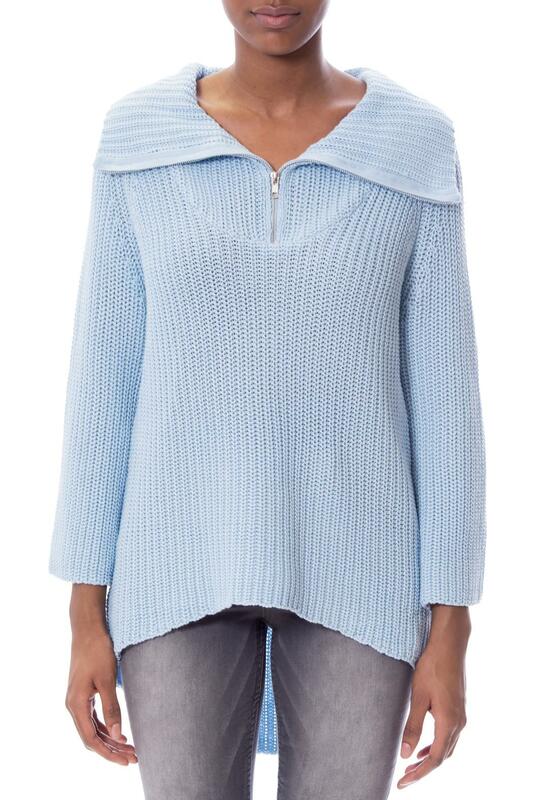 The sleeves, the neck area and the bottom of the sweater have fine ribbed cuffs. On the left, lower side of the sweater is a small logo by Esprit applied. If you want to see detailed pictures, looks best here over. The JACK & JONES sweater that can be seen here is , in my opinion, quite good in the category Iceland sweaters. 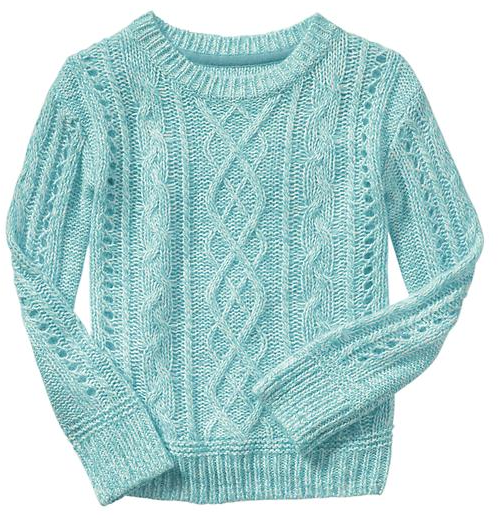 This comes with a coarse plait pattern, which stretches over the entire sweater.But in contrast to the classic Iceland sweater, this is made of 80% polyacrylic and only 20% wool. 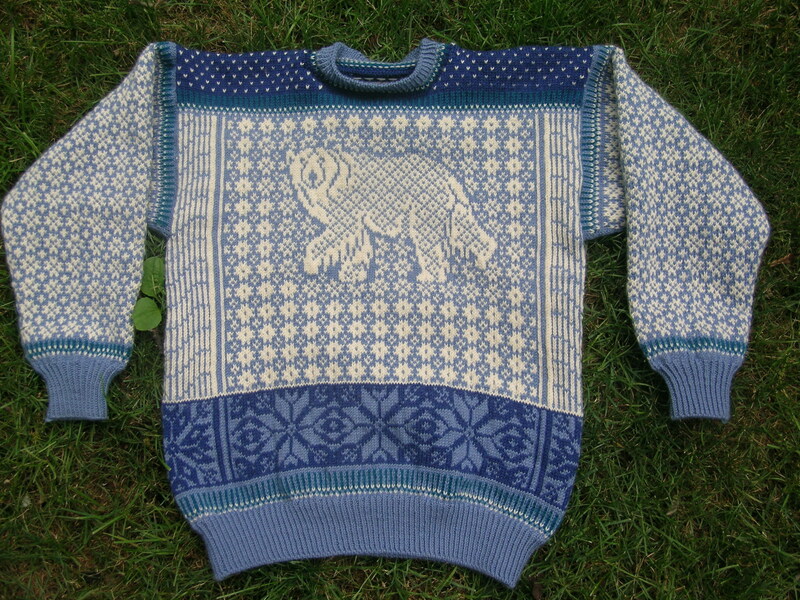 We remember the Icelandic sweater is 100% sheep wool. Like the Esprit sweater that has been designed before, it also comes with a round neck cut-out. Also in the region of the sleeves, in the neck region and at the lower end, there is a modification of known rib cages. Personally, it has the chic plait pattern of the sweater done, which in the beige version still a tick better than in the blue variant of the knit sweater. But, of course, is a matter of taste, hereyou can form your own opinion. The MERISH knit sweater comes with a scarf collar therefore. As this label suggests, you can save yourself an extra scarf while wearing this sweater. Because the collar is very high and protects the neck. The material used has been put on a combination of 30% wool and 70% acrylic. Noticeable cable patterns like the previous piece of clothing are missing here. Compare the Merish Pulli rather with the first presented by Balandi.As this is also very narrow and waisted, just a typical Slim Fit cut.That’s why the fact is that you should order a number larger than usual when ordering, to make sure it fits. If you are interested in the size, please read more reviews from previous customers to get a feel for what size fits your needs. You can find these and other detail pictures of the strobepullis here. Again to mention is the high collar, which in my opinion, if one deliberately decides for it, can look very stylish and contribute to something special in its own style. What do you all mean? The SHINE Knit Sweater O-Neck is probably the most minimalist of the six pulls presented here. This is not the case for unusual cable patterns, high scarf rims or buttons as special accents.Rather, this sweater is limited to the essentials, a normal cut, O-shaped neckline and 100% cotton as a used material. The style of the sweater was put on Grobstrick. Shine is available in three different colors: dark blue, dark gray and red. I like the last one. Just fit in my eyes just fine, the nice red hue and the simple, coarse knitting pattern of the sweater. Only on the left sleeve you can find a simple logopatch. But all in all extremely minimalistic, without much frills, as I like it. You can find the other color variations here. The TAZZIO knit sweater with cloak bust is the end of my knitted sweater. The sweater collar is much smaller than the one from Merish. The Tazzio Pulli is a combination of different influences: Merian collars, Jack & Jones cords and coarse knit ala Shine. It is only in the material that one deviates from all others and sets 100% on polyarcyl. According to the customer’s expectations, he keeps his warmth warm and also the scarf collar protects the neck from cold, but does not conceal the whole face. From the fit you have to order also with this again a number larger than usual, since it is very tight and narrow, speak, very body-weighted. If you notice this, however, it should not be a problem to order the right size. In addition to the dark gray version shown here, the knitted sweater is still available in gray, black and white. You can read more about this here. If you could have found the six presented sweaters, then just look briefly. Because I have still a few knowledgeable tips, regarding the care of sweaters, out. Make sure you turn your sweater to the left before washing, which means that the surface is protected against roughening and nodding. Also, you should use only liquid wool detergents when washing. This, however, is only sparing, because too much detergent can damage the fibers of the wool. In contrast to this, however, one should leave the fingers of fabric softeners, because, contrary to the widespread opinion, a knit sweater is not softer, but rather lappy and soapy. When drying, be careful not to put the knitted sweater in the sun or to hang it, as this can lead to bleaching of the colors. In addition, the wool fibers are more easily brittle due to sunshine.